Thinly cut Brussels sprouts lengthwise. The root end will help keep the slices intact. In 12-inch skillet, heat butter over medium-high heat. Add Brussels sprouts, salt and pepper; cook and stir 10 to 12 minutes or until sprouts are crisp-tender. Add walnuts and dried cherries; cook and stir 1 minute. 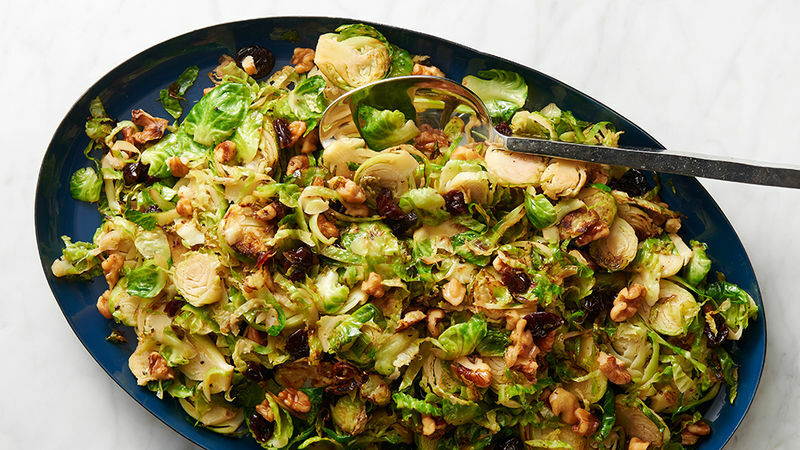 To make this easy dish even easier, you can purchase presliced Brussels sprouts. All the ingredients can be prepped up to 1 day before and kept covered in the refrigerator until ready to cook.